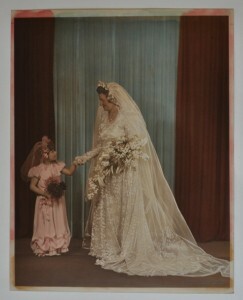 A hand tinted wedding photograph from the early 1950′s was adhered to a poor quality card, which had become very acidic over the past 60 years. 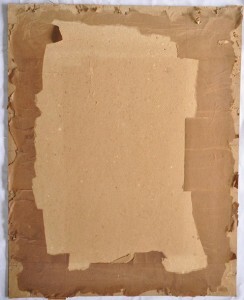 To preserve the photograph the acidic backing card was removed. 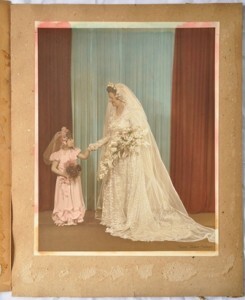 The photograph can then be mounted or stored without further deterioration from the acidic backing card. © 2019 Melbourne Conservation Services. All Rights Reserved.